Fun and Educational! Great for families & small children! Guests swim in a special lagoon and meet these curious animals face-to-face as they glide through the water. There is no better place to go swimming with sting rays on Oahu than at Sea Life Park! Using flotation vests, a snorkel, and a mask, participants can observe and interact with adorable Hawaiian Rays. 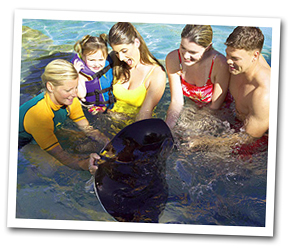 Guests have the opportunity to swim with and touch the rays. 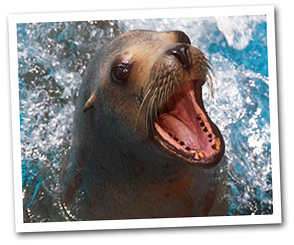 These graceful marine animals are gentle and friendly. This program is great for families and small kids. Program lasts approximately 30 minutes (20 minutes in the water).